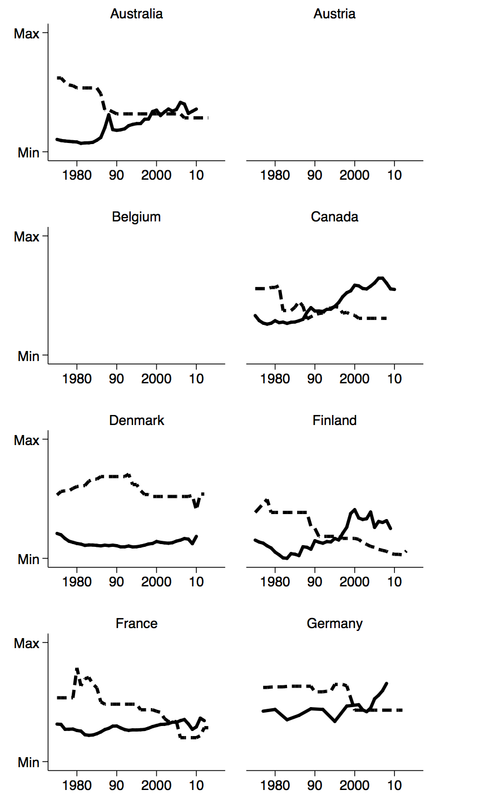 The following charts show tax revenues (black lines) and total government revenues (gray lines) as a share of GDP in 21 countries. Black lines: tax revenues. Gray lines: total government revenues. 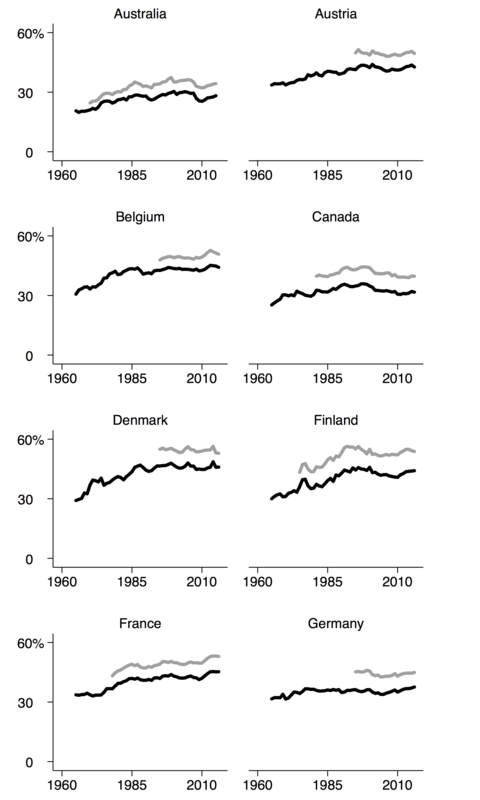 Share of GDP. Includes all types of taxes and revenues at all levels of government. Data source: OECD. 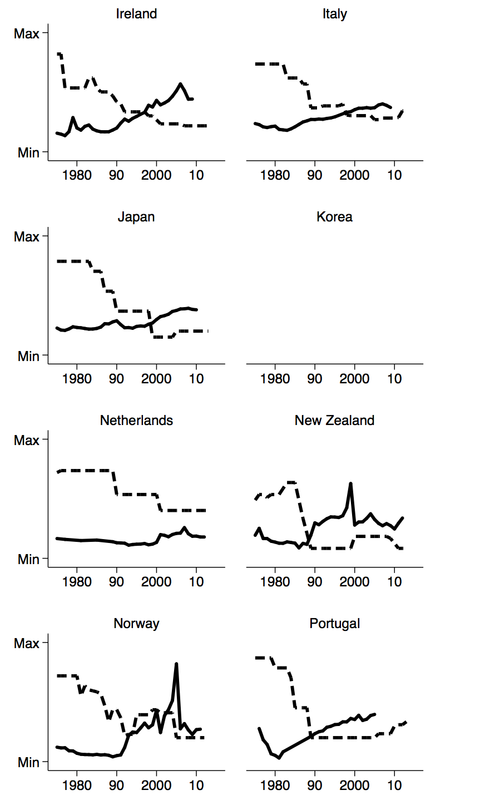 The following charts show the top statutory income tax rate (dashed lines) and the top 1%’s share of pretax income (solid lines) in 18 countries. Dashed lines: top statutory income tax rate. Solid lines: top 1%’s share of pretax income (excluding capital gains). Both measures are rescaled to vary from 0 (“min”) to 1 (“max”). 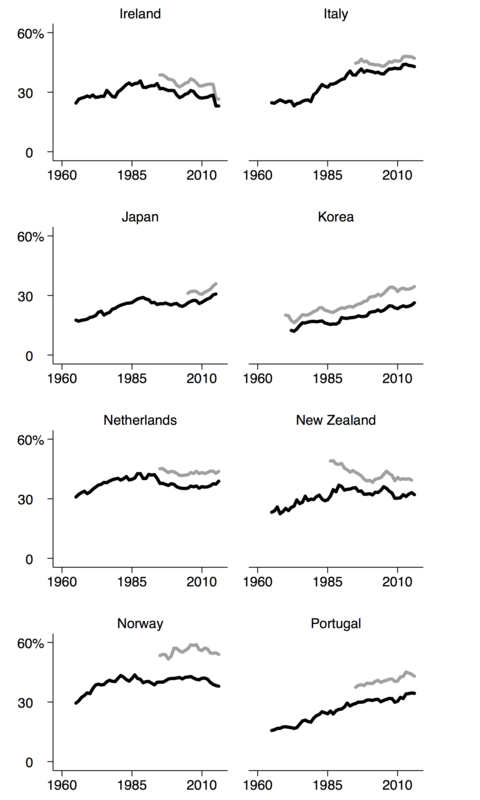 Data sources: OECD; World Inequality Database.